Quit dressing like a clown! Use this smart guide to pick the best clothing for self defense. Improve your ability to move dynamically and conceal your weapons. If you carry a firearm, for instance, you’ll need a thicker, stiffer belt. Without one, you’ll suffer from discomfort and saggy pants all day! Draw string shorts just won't do! Another thing that may take some getting used to when you first start carrying weapons is buying new shirts. 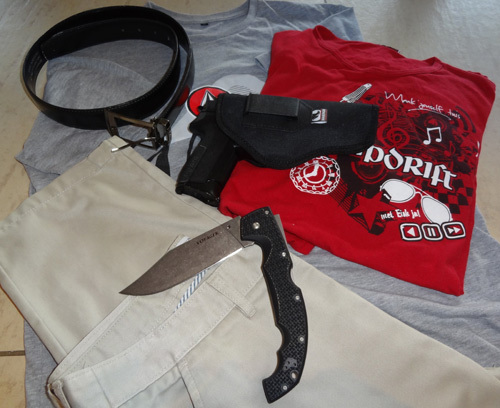 If you decide to carry a weapon in a holster on your belt (a handgun or fixed blade knife, for example), you'll need to choose a shirt that is long enough to cover the weapon. If your shirt is too short, it will keep riding up and exposing your weapon for everyone to see. The kind of fabric that your shirts are made from also has a major effect on how visible your weapon is. 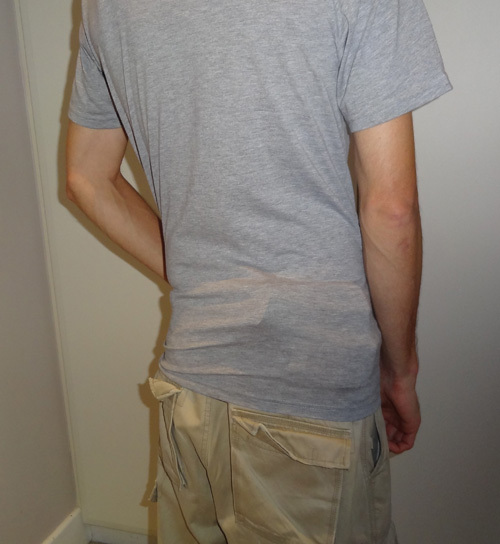 The soft material that most "T-Shirts" are made from makes them less than ideal items of clothing for self defense. Soft fabric tends to make your weapon "print". In other words, an outline of the weapon is visible to other people through the fabric of your shirt. Depending on where you live and what kind of people you hang out with, this could offend others or even frighten them. As silly as it sounds (it sounds silly to me! ), many people would be afraid if they knew you carried a knife or a gun. Even although you are only carrying it to protect yourself from violent criminals, many people around you believe that only the police and criminals regularly carry weapons. For those reasons (and some others that I won't get into here), it makes sense to do everything you can to keep your weapons hidden from the view of other people, at least when you are out in public. If your family knows that you carry weapons, obviously it doesn't matter what you do when you're at home. Button down shirts are generally excellent clothing for self defense and do well at hiding weapons carried on a belt around the waist area. The fabric on these tends to be stiffer and doesn't "print" as much or even at all. As long as the shirt tail is long enough (about 4 to 6 inches or 10 to 15 cm below your belt line is ideal), they work very well. In colder weather, a jersey, jacket or hoodie/sweatshirt is perfect for concealing your weapons, since the fabric is much thicker than a T-shirt or a button up shirt. This means that "printing" is no longer a concern. Some people even carry larger weapons during the winter time since they can conceal them more easily. Some thought should also be given to the kind of pants you will wear when you are choosing clothing for self defense. 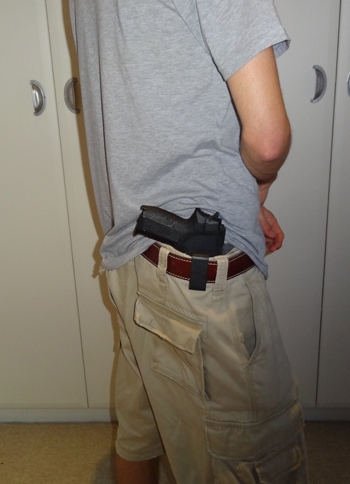 If you will be carrying a knife or gun that fits "inside the waistband" (IWB for short), you MAY need to buy a pair of pants one or two sizes bigger than you normally wear. This will give you a bit more room to allow for the extra thickness of a blade or gun. The reason I said you "may" have to get bigger pants, is because I have never found this to be necessary with my weapons. However, there may be a few reasons for that. I am relatively skinny and tall (so my pants are often quite loose! ), and I have never carried a firearm. Handguns are much larger and thicker than any knife and so they need more room inside your waistband that a knife would. When it comes down to it, everyone's body shape is different. What has worked for me might not work for someone else. You’ll simply have to experiment and see what works best for your body and the weapons you carry. Earlier I mentioned getting a better belt for carrying a weapon. This is a really important detail even if you don't want to carry a weapon ON your belt or inside the waistband of your pants. The reason it's important is because of the extra weight I mentioned before. Weapons tend to be made out of heavy materials like metal. Buying a good belt will be a tremendous help in increasing your comfort and your ability to easily carry and access your weapons. 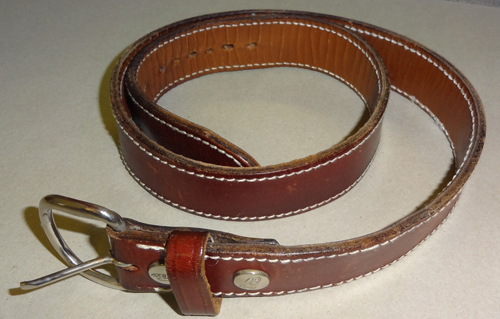 The best kind of belt to get is a thick leather or nylon gun belt. These belts are specifically made to support the weight of a handgun. They are much thicker and stronger than a normal dress belt and do an excellent job of distributing the weight around your waist. I really struggled to comfortably carry my weapons until I bought a proper gun belt, but once I did, I never looked back. Gun belts are quite expensive, but they last a long time and are exactly what you need to carry a weapon with you every day in relative comfort. I said "relative comfort" earlier because carrying weapons is often a little bit UNcomfortable! Many things can be done to make it carrying weapons more comfortable, but it's not always a pleasure. Someone once said, "Carrying weapons is supposed to be COMFORTING, not COMFORTABLE"! I fully agree with that person! I made a decision a long time ago that I would never be caught without a weapon when I needed one, and I am willing to put up with a bit of discomfort if that means I will be able to effectively fight for my life one day. You might wonder what on earth SHOES have to do with carrying a weapon! It’s quite simple. If you are serious about defending yourself and your family from violent criminals, you need to give some thought to your footwear. 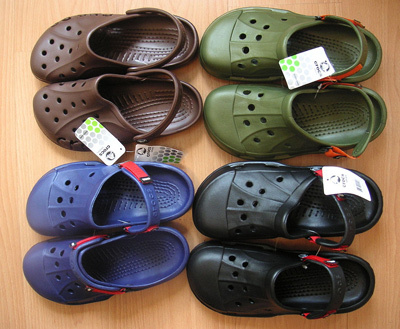 Many people wear loose fitting shoes such as sandals, “slip slops” or those awful plastic things called “Crocs”! The problem with slip on shoes (and I’m stealing someone’s quote here) is that they SLIP OFF! These kind of slip-on shoes are NOT good for self defense! If you happen to need to fight for your life at a moment’s notice or quickly run away from danger, you are going to slip out of those “slip on” shoes and land up on the ground. They are not meant to be used for active physical situations. If you value your life, I would strongly suggest you always wear sturdy, lace up shoes whenever you are outside of your house. This may take some getting used to if you have always worn slip ons, but it will dramatically improve your ability to move quickly in a fight. The only way to find a truly sturdy, comfortable setup for the weapons you carry and your wardrobe is to try different things and see what works best for your body type and daily habits. I have found that while it has been frustrating at times, with a little bit of thought you can dress in the right clothing for self defense. In fact, it’s entirely possible to comfortably carry a weapon or even several weapons with you EVERY day of the week, all year round. ...can you be certain that you'll have it when you really need it. ...and you realise that you chose that day to leave your life saving tools at home. I can tell you one thing, that won't happen to me! Carrying Weapons - My personal experience of going armed.